Bovidae and is closely related to the sheep as both are in the goat-antelope subfamily Caprinae. There are over 300 distinct breeds of goat. Goats are one of the oldest domesticated species, and have been used for their milk, meat, hair, and skins over much of the world. In 2011, there were more than 924 million live goats around the globe, according to the UN Food and Agriculture Organization. 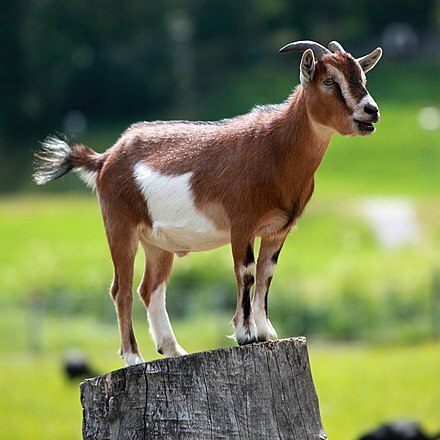 Female goats are referred to as "does" or "nannies", intact males are called "bucks" or "billies" and juveniles of both sexes are called "kids". Castrated males are called "wethers"